The annual rite of facial hair abandon known as “Mustache March” may be officially and technically over for the year, but it’s still going strong in spirit, and on the faces of proud deniers now deep into Mustache Mapril revelry. Just when you thought it was safe to go outside clean-shaven comes the revelation that the U.S. Air Force, or at least one unit within it, released a video acknowledging the existence of Mustache March and the official connection between the military branch and the now simultaneously beloved and reviled tradition. It’s still Mustache Mapril for two more weeks, to be followed by Mustache May, Mune, Muly, Maugust, Meptember, Moctober, Movember (recognized outside fanatic circles), Mecember, Manuary and Mebruary. 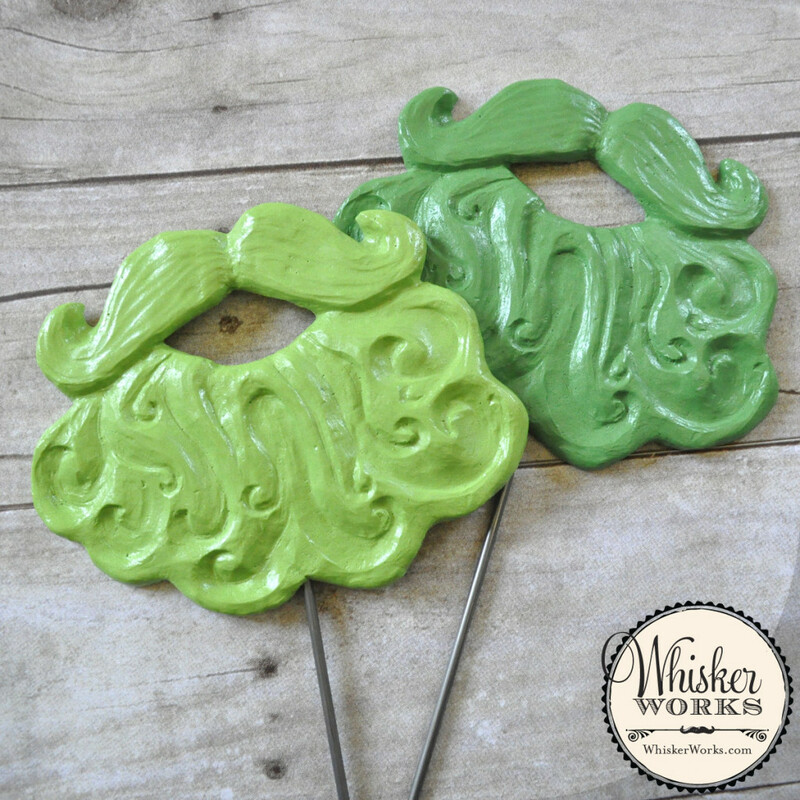 Bear in mind that for those ashamed to have shaved “prematurely,” WhiskerWorks.com still shamelessly supports mustache junkies with prosthetics that may actually outshine what you were, are or believe to be capable of growing yourself. U.S. Air Force Brig. Gen. Robin Olds defied regulations in protest by wearing a grand handlebar mustache. Eventually a general told him to ditch it, but not before inspiring what’s now military tradition in March. As we near the annual facial-hair dare known as “Mustache March,” let’s take a quick look back at the man many would say gave birth to the movement, through unabashed mustachioed defiance. His defiant, heavily waxed handlebar mustache, which stretched beyond the edge of his lips in violation of grooming standards, was said to be a protest against the Air Forces’ inadequate pilot training and lackluster support. More importantly, it’s believed this defiant ‘stache gave birth to Mustache March, an annual tradition in the Air Force, which spread to the other American service branches and the general public, when men grow mustaches as a bonding exercise, in defiance of clean-shaven normalcy. Olds lived a truly manly life, flying in an open-air biplane at the age of 8 and pledging to become a pilot, excelling at football while at West Point Military Academy, earning a place in the College Football Hall of Fame. He married a Hollywood actress, Ella Raines, and had a generally high-profile life as an accomplished battle-tested fighter pilot in World War II and Vietnam. He earned acclaim as the top wing commander in the latter conflict as a man who knew how to command the respect of his subordinates and contemporaries. Though his mustache was said to give him superpowers, possibly even immortality, he died of natural causes in 2007, leaving the world to speculate whether it was the mustache that made him great, or if he made the mustache great. Mustache March is also the namesake of an organized charity mustache-growing competition based in Milwaukee, Wisconsin, which donates money raised during the month-long nose neighbor cultivation exercise to Midwest Athletes Against Childhood Cancer. 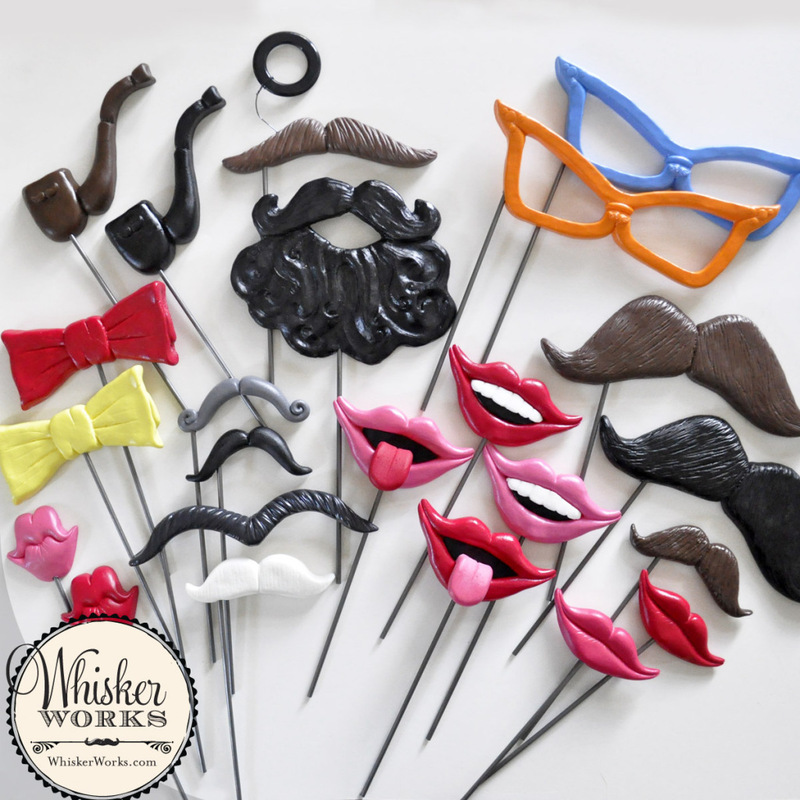 Moustache March, the other accepted spelling, is the namesake of an organization based in Oregon that, too, uses March-focused mustache growing as a means of fundraising for charity, including the American Cancer Society. Along the same lines, there’s Mustache Movember, a global organization focused on raising money for testicular and prostate cancer research. 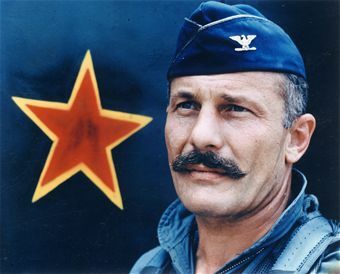 Though no one knows who invented the mustache, modern mustache popularity is almost certainly attributable to Robin Olds, to whom, in the spirit of all the mustache embodies, we say thank you. 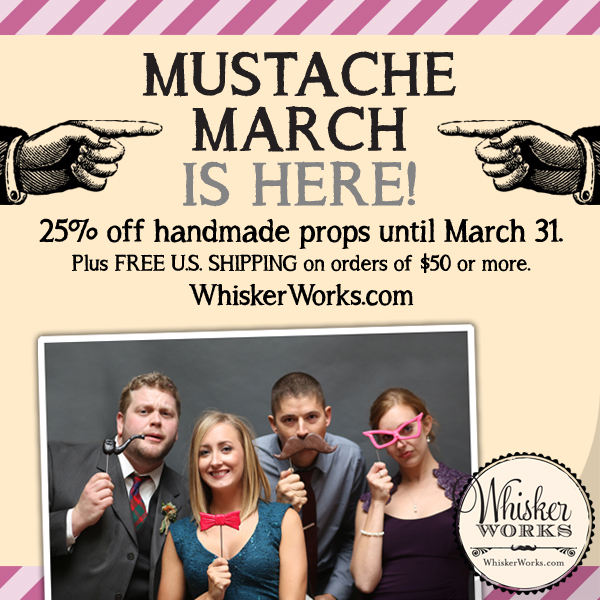 In celebration of Mustache March, Whisker Works will hold a sale with special promotional pricing on top quality mustaches, to help less-endowed gentlemen and ladies honor Olds’ legacy.